I've been looking back through some of my old Starlog magazines from the 70s, and earlier today I ran across a couple of articles from early 1980, where the cast and producers of Buck Rogers in the 25th Century were enthusiastically discussing the changes that were being made in the show for its second season. Everyone involved - it appears - were certain that these changes were all positive and would result in a much-improved and more popular program. 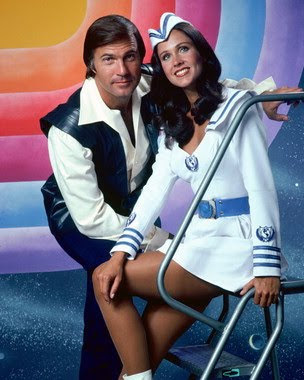 Today, though, many - if not most - of us who remember the show regard the second season as a giant disappointment, with virtually all the charm and comic book fun of the first year drained away and replaced with ill-conceived, sub-Trek storylines, reduced production values, a dull, "serious" Gil Gerard (who apparently never realized that it was his charm and humor that were his strengths as a performer) and - perhaps worse of all - a tragically diminished and, frankly, demeaning, new role for Erin Gray's Wilma Deering. Without so much as an ounce of evident shame, the producers reduced her from a competent, intelligent woman of action to glorified telephone operator (I think - did they ever actually establish her position on the Searcher definitively?) in an absurd, unflattering carhop uniform. But, to go back and read these old Starlog articles, it looks like this was exactly what the people in charge - and in the cast - wanted. Gerard wanted to show that he was a serious, thoughtful actor in stories that were about "ideas," and Gray wanted her role to be more feminine and less butch. (I wonder if she'd seen that ludicrous sailor suit yet?) Both praised the arrival of new producer John Mantley, whose past experience on Gunsmoke was supposed to be evidence of his mastery of characterization and drama, if not (as we soon learned) science fiction-fantasy. Of course, Gerard had been difficult since the beginning, giving the impression that the comic strip-styled action-adventure nature of the show, with its scene-stealing robots, bright colors and scantily-clad female guest stars, were beneath him. It's a shame that he couldn't grasp just how unique that was, and how entertaining that approach could be. In fact, the first season's "James Bond in space" format was something we hadn't seen before on television. The idea that this guy from our time era had an edge over all those futuristic villains because he knew how to rely on his own wits, intelligence, reflexes and experience was extremely appealing to young audiences. The "mission" format opened up the show to a variety of action-driven stories, and the relationships between the characters were all presented as being based on mutual respect. 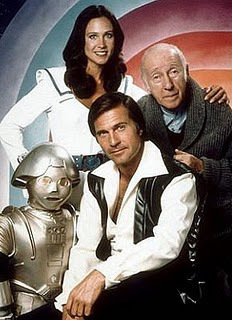 Buck appreciated Wilma as his guide to his new world and as a professional, respected Huer's sense of duty and basic humanity, and treated TWIKI as a valued friend. They, in turn, recognized that he brought something new and important to their time with his individuality and self-reliance, and could accomplish things that they could not. And they laughed, and enjoyed each other's company. The first season was light and the stories were unabashedly goofy (though, usually in a good way), but it was a future that was fun to visit once a week, with a hero that kids could look up to. All of that was lost in the second year, with its half-baked format that stole equally from Star Trek and Battlestar Galactica, an uninspired and recycled spaceship model (from Season 1's "Cruise Ship to the Stars"), and hastily repainted and cobbled-together sets (Hint for SF television producers: if you're going to set your show on a single vessel week after week, make it distinctive and cool in its own right, instead of a random jumble of reused flats and rented computer props leftover from the 60s,awkwardly positioned so as to hide the seams. See Star Trek, Voyage to the Bottom of the Sea, Battlestar Galactica, Farscape, Firefly, etc). The introduction of avian alien Hawk (an absurdly improbable concept, though well-played by Thom Christopher) changed it into more of a "buddy" show, giving Buck another male to adventure with, while Wilma stayed safely back on the ship, since women - even in John Mantley's 25th Century - really have no place in adventure stories, except to stay home, worry about their men, and make coffee. The rest of the new supporting cast - Admiral Asimov (poor Isaac! ), Doctor Goodfellow (an absent-minded scientist? Yeah, that's who I want as science officer on my starship - and gee, what a fresh idea! ), and Crichton the obnoxious robot (yet another recycled prop) - were nothing but stock cyphers who were inexplicably subservient to their civilian passenger. Not one of them was given a consistent personality, with Asimov (for example) vacillating wildly between abrasive and confrontational to acquiescent and impotent -- sometimes in the same episode! As for the scripts, well, they're what you'd expect the producer of Gunsmoke to think was science fiction, undercooked plots that would have been rejected by Star Trek, executed blandly. I'm sure part of that was Universal's cost-cutting, but still. 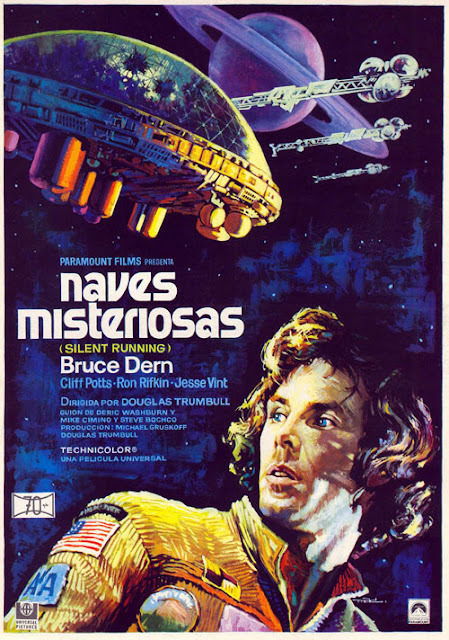 One episode, "The Satyr," was literally recycled - it's basically the same script as Battlestar Galactica's "The Lost Warrior" and would reappear again as Tales of the Gold Monkey's "The Lady And The Tiger." I guess Universal wanted to get their money's worth out of that blatant Shane rip-off. Here's the thing: the idea of making the show more serious and giving Buck more depth as a character - that's actually pretty smart, and might have made an entertaining show. But the way it was done - which was just completely inept - only killed the series that much faster. It's all history now, and I have no idea if the principals involved - Mantley, Gerard, Gray, et al - see that second season as the disaster that I, and many other fans, do. Maybe they think that it's the better of the two seasons. I don't happen to agree, and what do I know? I was just a loyal viewer who missed the confident, wisecracking hero, scantily-clad female guest stars (Markie Post!) and Mel Blanc's TWIKI characterization. The second season's not a total waste - I think three of the 13 episodes very nearly work (for the record: "Mark of the Saurian," "Testimony of a Traitor," and "The Dorian Secret. "), but none of them are as simply entertaining as the majority of the first season. Hell, even "Cosmic Whiz Kid" is kinda charming, in a pandering sort of way. It's just sort of a shame that the people involved didn't recognize what actually worked about the show, and put so much effort into eliminating those aspects completely in its second year. Obviously, I think way too much about this stuff. 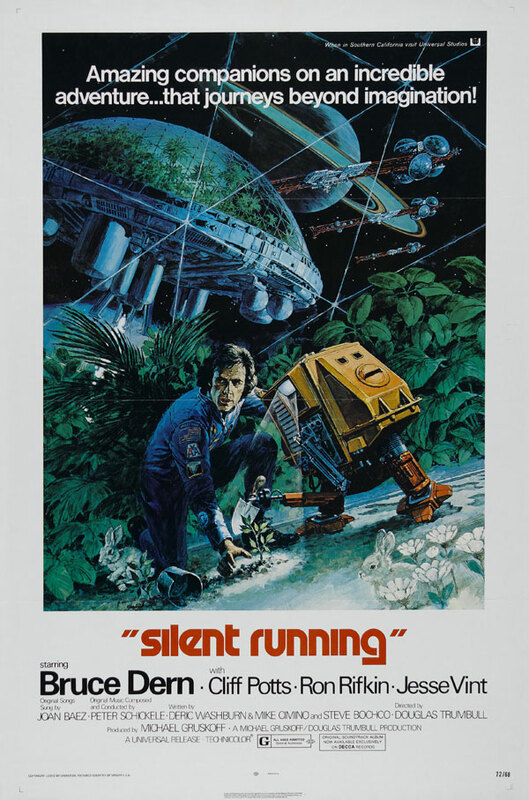 I'm not sure why I have Silent Running on the brain this month - I haven't seen it in years, and it's one of the few 70s science fiction films I don't own on DVD or VHS. 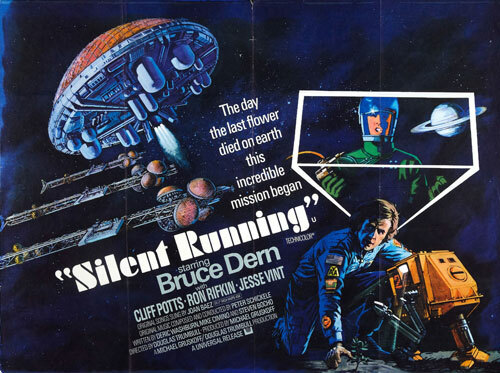 It's also quite different from most of the era's other genre films that I reminisce about here, as it's a pretty heavy, downbeat flick, rather than a shoot-em-up space opera.